There are not many theatre companies in the world that can boast nineteen years of devotion to international new writing. Our ongoing commitment has ensured that new playwrights throughout the world, and particularly in the UK, gain the support, encouragement and backing that they so richly deserve. The year's selected plays were no exception to the excellent standard of writing that has given the IPF the critical acclaim it attracts. Over 500 entries were submitted into the competition from all over the world. After months of rigorous examination, the IPF judging panel were proud to present six talented playwrights: Gary Baxter, Imola Zsitva, Andrew Heath, Jennifer Tuckett, Charlie Moore and Heather Taylor. The tradition of the IPF is to show an extract of the play that highlights the qualities of the writing and gives a tantilising glimpse of what the whole play has to offer. This was the case this year too with the offerings from our Italian partners of nine years, Premio Candoni, and our Cypriot partners of five years, Theatro Ena. We also showcased home grown talent from our Warehouse Writers' Workshop and, for the first time, ripe young talent from the BRIT School. 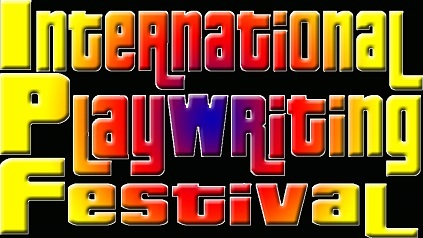 Over the two days, the plays were arranged not in any order of merit but simply for maximum appreciation and enjoyment. Surface revolves around Amy, Jay and Tom who all have a pretend sense of the ties that bind siblings together, their lives being blank and hopeless. They are only able to look back at their childhood, a time full of secrets. Hiding behind a misplaced façade, they lie to each other and to the other people in their lives. Surface is a absorbing and challenging piece of theatre. and her ill child. The womans only hope is The Blue Bus that will take her away to her dreams. As her story unfolds, so does the story between Emelda and Sarah. Ron runs a novelty performing pig act which he tours around the country. In one particular village, he stays in a B&B with landlady, Rosy Cheeks and her partner Steven Chips, and is accosted by Sarah Chive, a journalist who prints vicious rumours that the pigs are a danger to the village. Ron's Pig Palace on Wheels is a charming poetic comedy full of topical overtones and dark humour. Martha is a pensioner trapped by her lack of mobility and dependent on her daughter Lucy for the daily household chores. Unable to cope, Lucy hires Nicky as a cleaner. Martha, however, persuades the eccentric Nicky to take her out of the house with an offer she can't refuse. Smile Bloody Smile is a hilarious tragi-comedy with sharp witty dialogue highlighting the pressures of taking care of loved ones. Through conversations and recollections, an elderly couple reflect upon mortality and past relationships. When one becomes frustrated with the realities of ageing, a series of flashbacks brings life back into perspective. Weather is a brilliantly thought out play that challenges you to take a journey that will be familiar and strange at the same time. The re-telling of the tragedy of Alcestis, set in a concentration camp, in the present time. Thanatos, the camp commander decides on the life and death of his prisoners. Admeto is condemned to death. A tall and handsome man, (do you remember Oskar Schindler?) intercedes with Thanatos to save Admeto's life. He accepts but someone else must die in Admeto's place. Alcestis, his wife, chooses to sacrifice her life for him, but unlike in Euripides' play there is no happy ending. Stella, who suffers from ME, is visited by her cousin Joyce, a nurse. Impatient with Stella's ranting and bickering, Joyce threatens to leave but is stopped when Stella promises to leave her everything in her will. However, Stella has ulterior motives for wanting her to stay. Happy Talk introduces us to two distinct women and is filled with black humour. Iren, a devout Catholic living in Budapest looks back on her life and the choices that she has made. Supported by her husband, the central themes of ageing, passing time and looking back are explored, at times playfully and humorously through three generations of women. Touching with beautifully rounded characters, Someplace Else is a poignant tale of regret, missed opportunity and hope.